Two or three years back, while I was with my college team for a weekend match in this league that was organized by San Beda College in Mendiola, Aris Caslib – former Philippine National Team coach and long-time overseer of San Beda’s excellent football program – told me that he was citing Batangas in a report to be submitted to FIFA for its ability to produce national players despite the province not being a hot bed of football in this country. 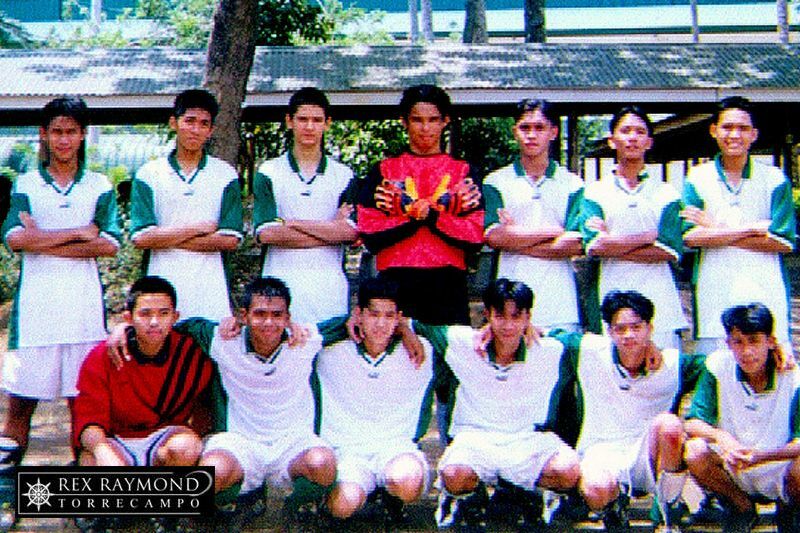 I have known Caslib since way back; he played with as well as coached many of the boys from my high school teams who went on to play for the Mendiola-based school. Between us, the reference to Batangas was really just Lipa; or, and this is all modesty aside, my team. Jeremias Jiao, who played on the left wing for the Philippine team in the 2006 AFC Challenge Cup, would be the last to don the national colours in a full international. He was by no means the only one. James Dimaculangan, a year younger and who played in Jiao’s high school team, was also in the youth set-up when he was in college. 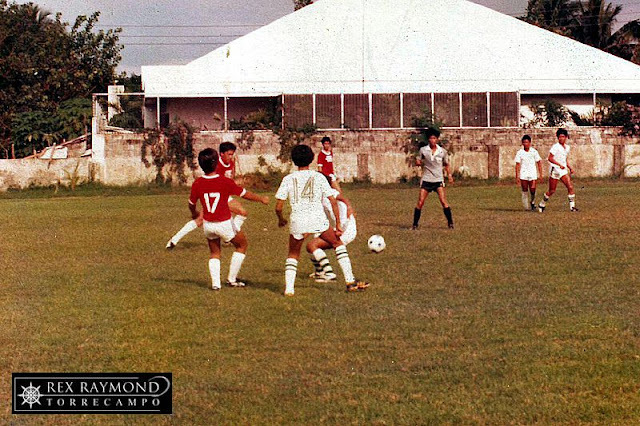 The late Darwin Motel was also capped once in a friendly match at the Rizal Memorial. All three were products of the San Beda program after they all graduated from my team. 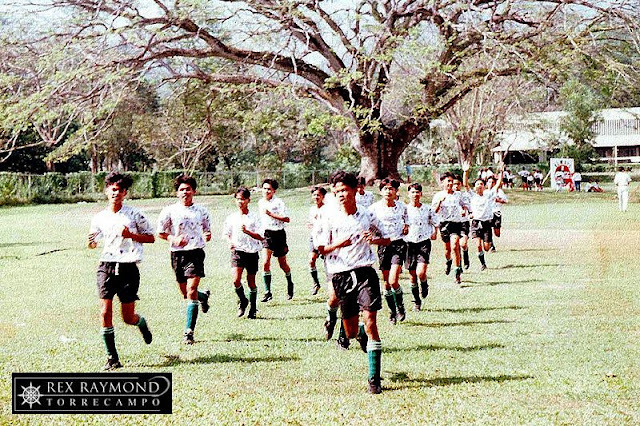 In the eighties and nineties, when the national team did not enjoy the sort of attention that the current team does, Eduardo Marasigan Jr. played in the heart of midfield; while Gil Talavera – a left wing-half in high school – was a central defender. Five may not seem such a remarkable output for three decades of football; but what is remarkable is the number of other players who – given the right circumstance – were good enough to have actually played for the national team as well. Excepting Marasigan, the five who actually became national players were by no means that most talented that we produced. There is also the little matter of us playing our football in Lipa; but that I shall get to later. So, I politely thanked Caslib for the citation; albeit, I did not really allow myself to dwell on it because, truth be told, there was no possible way for him to fully appreciate the trials and tribulations that I had to deal with just to get one player through the production line. After all these years, there were hundreds! As much as I have always thought of myself – despite my being half-Ilonggo – as a Batangueño, God knows how often through the years I complained to Him about why He could not have dropped me in a football-friendlier place when I was born. 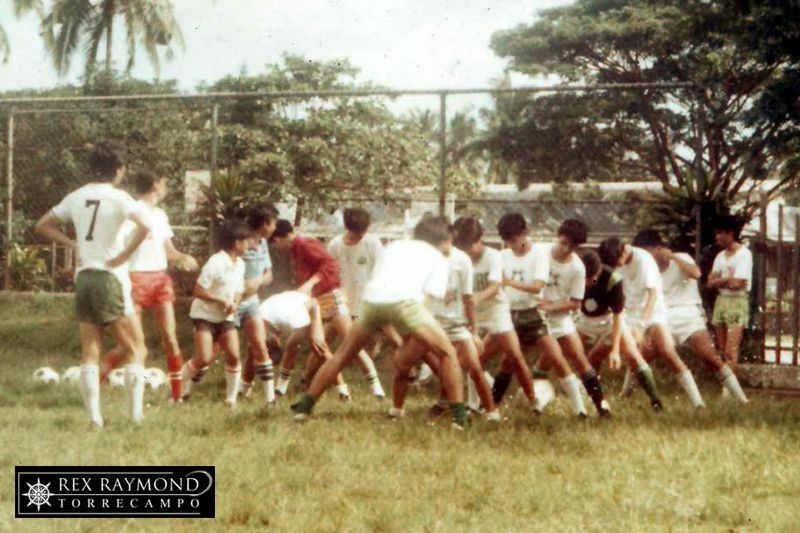 In a conversation in the late eighties with an Ilonggo match official who I had known since my college playing days, I had opened up that in Lipa – for all intents and purposes – whoever came to the football field to try out eventually became the football team, so few were the numbers. Lipa being the conservative and in many ways downright old-fashioned community that it has always been, football has always been looked upon – particularly in the eighties and nineties – as a dangerous game. American sports doctors would naturally beg to disagree. Numbers between sports all being equal, statistics have actually shown that there have more debilitating injuries in basketball compared to football – or soccer as the Americans continue to annoyingly call the game. 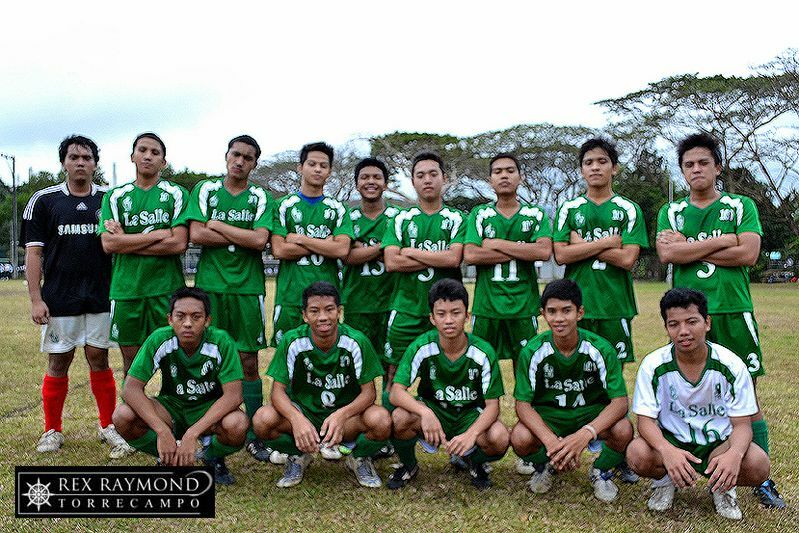 LSFC 2011, my last football team. The misconceptions in Lipa, therefore, have always been baseless. But what did ordinary housewives know about these things? Matriarchal that traditional Batangueño society has always been, it has always been almost instinctive for mothers to be overly protective of their boys. As often was the case – although there were, naturally, exceptions – even if boys professed interest in the game, mothers would be the source of discouragement to their actually joining. If ever any of the boys was actually brazen enough to join, family disagreement with it notwithstanding, support when the boy had to attend practice or travel to matches was not always necessarily there; and if it was, it was in most probability given grudgingly. In stark contrast, this Ilonggo match official told me, in his home community, it was the mothers who actually brought their boys to coaches, hoping as they were that the football would eventually win the boys college scholarships or enable them to get into the Armed Forces. Of course, the school where I plied my trade has always been at least middle class-associated; so there was an element of economics to the paradox as well. Suffice it to say that majority of the boys I worked with came from families who could actually pay for their college education; and few – if at all – ambitioned to play football for any of the Armed Forces teams as a means to make a living. Of course, even if conservatism and all its corollary misconceptions were taken away, the fact of the matter has always been that Lipa was just never a football community. Everyone knows that the Philippines is still very much – Azkal-mania notwithstanding – basketball country. However, whereas interest in football has grown exponentially in communities in the south that God knows we were even way ahead of back in the eighties, whatever interest there is in this backwater that we call our home city continues to be no more than casual. A friendly with Makati Football School early in 1983. That has been what it has always been through the decades: casual. The arrival of cable television has doubtless increased interest; but interest of the sort to actually increase the number of boys coming to the football field wanting to learn the beautiful game, that has not risen beyond incidental. Yes, even after three decades. Who knows, though; maybe Azkal-mania will be the trigger! So thus, many of the boys coming to my teams were those who did not think they would make it in the preferred basketball or volleyball teams, which enjoyed most of the limelight. There were even those who came after having been cut by either or both of those teams. That was fine! There were seasons when I still did not have a full team a month before the league was due to open. Beggars could not be choosers! It goes without saying that there were years when I found myself having to make do with what I would comically – if resignedly – refer to as “the Smurfs.” You can count on the fingers of one hand the number of boys who towered above me from among the hundreds who played in three decades of football; and I am a mere middling five-nine-and-a-half. Whoever said that height and breadth are not essential to football has probably not actually played the game at all. These may not be as essential as they are to basketball; that said, the current success of the national football team is due to a large extent to the current crop of players having the physicality to cope with the demands of the modern international game. Celebrations after winning the Coca-Cola Regional Go-for-Goal title in 1987. To be fair – and accurate – the supply of players improved somewhat in the last decade; and primarily because the school managed to complete the elementary levels, which it did not have until late in the nineties. However, that simply meant that for all of two decades, players who had absolutely no background in football were coming to join my team when they were already in high school – many as late as their junior year! The cycle was vicious. Whilst still in the process of building a team, we would play in our league and suffer hideous losses! That was to be expected; if indescribably annoying to me. We were playing against teams with players who started playing football in their early elementary years. The wonder of it, though, was that more often than not, by the time I had a team filled with senior high school players, we would be competitive despite our handicap in playing years. Modesty aside again, we became sometimes in as short as a year what other school teams took nine years to become. It gave me immeasurable pride and an equal sense of achievement to have my teams stand toe-to-toe against teams with their vastly more experienced players! The lack of experience did pay us back whenever we managed to get out of the group stages of our school league and into the knockout semi-finals. Because knockout matches are invariably more pressure-laden than those in the group stages, this was often when our Achilles heel was exposed. Experience is one of the prerequisites to the development of mental toughness; and this we often did not have. 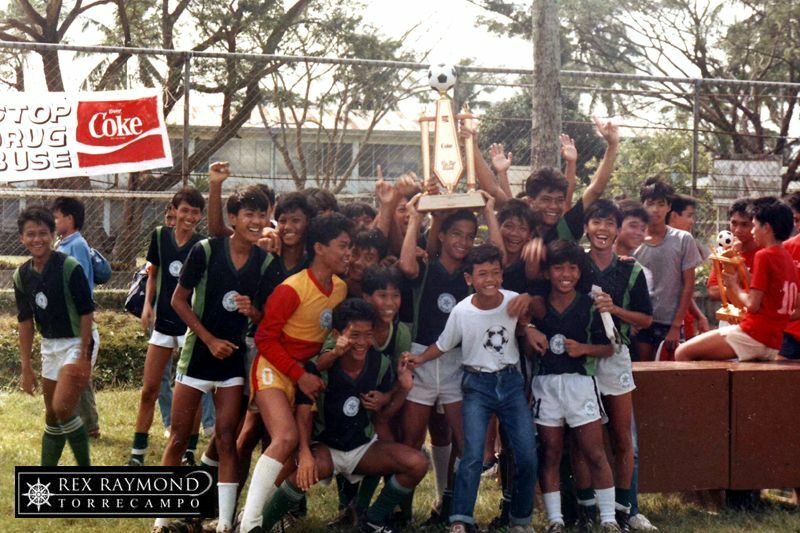 At the Palarong Pambansa in 1988. We probably did not win as many accolades as, say, the volleyball teams. That said, volleyball – and basketball – is played with the hands. Anybody who has not tried juggling the ball with the feet just five times without dropping it has no idea how difficult football is in comparison; if just for the simple reason the God really made feet for standing, walking and running. Also, our greater achievement was not so much in the trophies that we won but rather in the number of players we fed into the collegiate varsity scene and subsequently into the national team. Because we were based in Lipa, where only we were serious with our football, we had to find football elsewhere, in a competitive sense. In the early days, that meant finding a jeepney – the cheapest transport we could afford – each weekend to travel to Metro Manila. I even had to collect fare from each of the boys just so we could all fulfil our collective passion. Coming down from the boondocks was always a concern to contend with. Lipa is roughly a thousand feet above sea level. The climate is pleasant all year round. We would train during late afternoons when conditions would most times be pleasantly cool and perfect for physical exertions. Come the weekends, we would play matches that we never really got any opportunity to acclimatize for. Some teams handled the heat and the humidity reasonably well; and some teams – well – just did not. In Puerto Princesa, Palawan for the 1992 STRAA. The 1994 Regional Coca-Cola Go-for-Goal, which we won. Perhaps, the most difficult pill to swallow all these years in coaching the beautiful game was the myopic way that some – not all, but enough – of the boys’ teachers looked at their membership in my teams. You would think that teachers, of all people, ought to be the ones with open minds. That is, regrettably, not necessarily so. Some of them could not fathom the world beyond the four walls of their own classrooms. I would understand it if the boys had to stay away from training on account of projects or other academic work; but forgive me if I say it is horse dung if they had to stay away because of a cheering or lip-sync competition or if they had to play volleyball in the intramurals. Yes, there were those who would much rather prefer that their homerooms took the cheap intramurals banners while the name of the school that put food on their own tables was compromised when my teams travelled during the weekend without adequate training. The French can be utterly philosophical about things. C’est la vie! That’s life; or so they say; albeit, one wonders if it had to be that way! Once, while in the STRAA, regrettably we were beaten in a match that we really expected to win. As a consequence, we had to play a match that we not only did not expect to play but which also coincided with the term paper defence of a couple of my players. LSFC alumni homecomings were held annually. This was in December 2000. 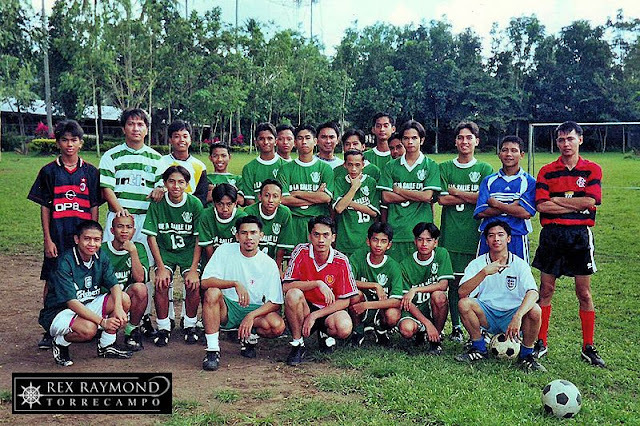 The LSFC team in 1998. We called long distance to politely ask the teacher if she would kindly agree to a change of schedules. The rebuff was typical if totally unacceptable: it was left to the boys to choose between academics and football! Disgusted, I brought the two players back to school for their defence. It was a term paper, for crying out loud! Theses are defended; not bleeding English term papers! For the record, one of the two boys eventually made it to San Beda College on a full scholarship. Because of football, by the way; not English term papers! There you are! Quite a bit of a read, would you not say? Much as I appreciated Caslib’s citation, the truth of the matter is that he could not possibly have known what it was really like coaching the beautiful game in this outback station that has never really taken to the beautiful game that the rest of the world has enjoyed for ages and will continue to enjoy for ages more to come.